When Leicester’s Madani High School got in touch with NSI to supply some new signage it used the designs and font suggestions that the school provided to produce built-up stainless steel letters in both English and Arabic. 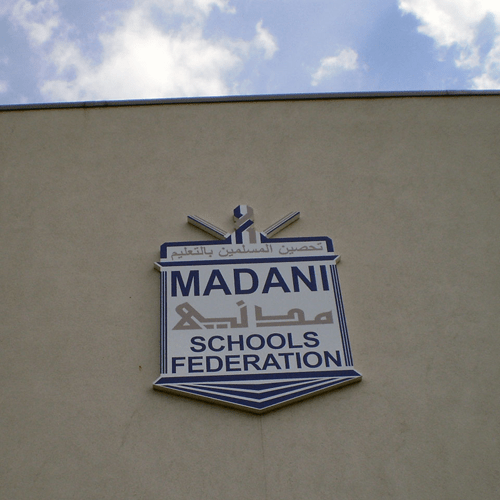 Madani High School and Community Centre is a purpose-built Islamic faith secondary school, where both languages are commonly used. The school logo was also printed and applied to panels and all signs were installed on the school buildings during the May half term, so as not to disrupt lessons.